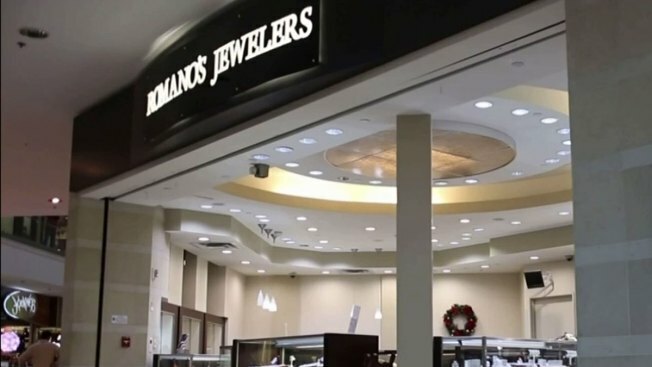 A North County judge has determined there is enough evidence for a military fraud case involving Romano’s Jewelers to be tried in court. After two days of hearing from Camp Pendleton criminal investigators and a San Diego County District Attorney investigator, Judge Blaine Bowman decided 13 of the 23 charges against Romano's Jewelers owner Ramil Abalkhad and manager Carlos Torres will go forward. The charges moving forward include identity theft, conspiracy and fraud allegedly targeting young Marines. The other charges were dismissed due to statute of limitation issues. “There’s no question in the mind of the court that the owner of the store and manager of the store took advantage of our service members, young Marines and used their pins to reset their MyPay accounts,” said Judge Bowman. The original criminal complaint alleges between 2010 and 2012, Abalkhad instructed manager Torres and employee Nellie Cha Noland to obtain the personal financial information of Marine customers and then add unauthorized charges on their store credit accounts. The charges are in connection with a 2012 U.S Marine Corps criminal investigation detailed in documents NBC 7 Investigates obtained under the federal Freedom of Information Act. In court Thursday, District Attorney Investigator Jim Clark talked about the Marines who, he said, Romano’s Jewelers victimized. “She stated the Marines who came in were brand new Marines, straight out of boot camp 18-19 years old. Didn't have any experience with MyPay. Didn’t even know that MyPay was a military system,” said Clark. MyPay is a military payroll account through which military members can set up allotments – basically automatic deductions from their paycheck to pay off charges. Clark said Torres and Abalkhad paid a Marine insider and their own employee, Noland, to illegally access Marines’ MyPay accounts and reset pin numbers. In response to witness testimony, defense attorneys said all the Marines signed documents at their own free will and there was no evidence of forging signatures. Abalkhad and Torres have pleaded not guilty to the charges. They are expected to make their next court appearance April 27, where attorney Peter Blair said they’ll likely maintain their non-guilty plea. Noland has pleaded guilty in the case and agreed to be a cooperating witness against Abalkhad and Torres.